GRAND RAPIDS, Mich. – To make its Fast Lane personalized, online grocery shopping experience even more convenient and encourage customers to maximize their savings, SpartanNash today announced customers can now clip digital coupons instantly. 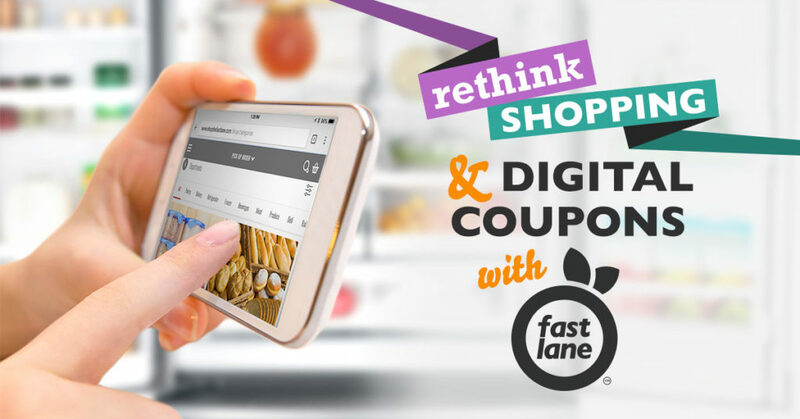 While placing their curbside pickup or at-home delivery order at shopthefastlane.com, Fast Lane customers will now receive a message the instant they add an eligible item to their cart, alerting them to digital coupons they can clip and redeem. Fast Lane items that have an eligible coupon will also be designated with an “Offer inside!” sticker to alert customers to savings. Before customers place their Fast Lane order, they are also presented with all available digital coupons – as well as offers they can qualify to redeem with additional purchases – ensuring they don’t miss any coupons or offers. yes loyalty accounts are automatically linked to customers’ Fast Lane accounts, allowing for a seamless experience earning rewards and additional savings. Since launching Fast Lane in July 2017, the curbside pickup program has quickly expanded and is now available in 40 Family Fare Supermarkets, D&W Fresh Market, Forest Hills Foods and VG’s locations across Michigan and South Dakota. Fast Lane at-home delivery is also offered at three stores in West Michigan, serving store guests in select zip codes at the Knapp’s Crossing D&W Fresh Market, Georgetown Township Family Fare Supermarket and Forest Hills Foods. SpartanNash (Nasdaq: SPTN) is a Fortune 350 company whose core businesses include distributing grocery products to independent grocery retailers, select national accounts, its corporate-owned retail stores and U.S. military commissaries and exchanges. SpartanNash serves customer locations in 47 states and the District of Columbia, Europe, Cuba, Puerto Rico, Italy, Bahrain, Djibouti and Egypt. As of today, SpartanNash currently operates 144 supermarkets, primarily under the banners of Family Fare Supermarkets, D&W Fresh Market, VG’s Grocery, Dan’s Supermarket and Family Fresh Market. Through its MDV military division, SpartanNash is a leading distributor of grocery products to U.S. military commissaries.